John Paul from Day Trade to Win starts this video with a Short Trade using the Atlas Line software. How much profit and stop do you use for each trade? The first trade was good for one point, based on the ATR which was also near a point. The current trade’s profit target is 1.25 points. The stop is around 2.5 points. There are three stop strategies in mind that we went over in the last video. With the ATR hovering above one point, we know the market is worth trading. When you can look at nothing but price and decide to get in and out, you are trading using price action. It’s the most effective and easiest type of trading to learn. Everything you need is provided right in front of you on the chart. There is no guessing – it’s objective. The best time to trade is in the morning starting at 9:30 a.m. US/Eastern until about noon. However, you’ve probably seen many videos with the Atlas Line trading far beyond the open outcry session. Why 9:30 a.m.? When the CME opens, there are millions of orders placed by high frequency trading algorithms, hedge funds, professional and retail traders. In addition, financial news events, press releases and the U.S. daytime infrastructure really comes online during this period. As long as the ATR (with a period of four) remains between two and four points, you can bet the trading conditions are favorable. All you need at this point is an effective day trading strategy. 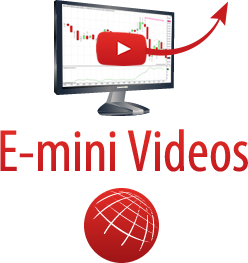 There are many day trading courses at Day Trade to Win that focus on price action.